The utterance by the Christian clergy which confuses Christians the most is the constantly repeated utterance that "Jesus was a Jew." That also appears to be your favorite theme. That misrepresentation and distortion of an incontestable historic fact is uttered by the Christian clergy upon the slightest pretext. They utter it constantly, also without provocation. They appear to be "trigger happy" to utter it. They never miss an opportunity to do so. Informed intelligent Christians cannot reconcile this truly unwarranted misrepresentation and distortion of an incontestable historic fact by the Christian clergy with information known by them now to the contrary which comes to them from sources believed by them to be equally reliable. This poses a serious problem today for the Christian clergy. They can extricate themselves from their present predicament now only be resorting to "the truth, the whole truth, and nothing but the truth". That is the only formula by which the Christian clergy can recapture the lost confidence of Christians. As effective spiritual leaders they cannot function without this lost confidence. They should make that their first order of business. My dear Dr. Goldstein, you are a theologian of high rank and a historian of note. Of necessity you also should agree with other outstanding authorities on the subject of whether "Jesus was a Jew." These leading authorities agree today that there is no foundation in fact for the implications, inferences and the innuendoes resulting from the incorrect belief that "Jesus was a Jew". Incontestable historic facts and an abundance of other proofs establish beyond the possibility of any doubt the incredibility of the assertion so often heard today that "Jesus was a Jew". Without any fear of contradiction based upon fact the most competent and best qualified authorities all agree today that Jesus Christ was not a so-called or self-styled "Jew". 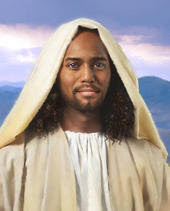 They do confirm that during His lifetime Jesus was known as a "Judean" by His contemporaries and not as a "Jew", and that Jesus referred to Himself as a "Judean" and not as a "Jew". During His lifetime here on earth Jesus was referred to by contemporary historians as a "Judean" and not as a "Jew." Contemporary theologians of Jesus whose competence to pass upon this subject cannot challenge by anyone today also referred to Jesus during his lifetime here on earth as a "Judean" and not as a "Jew". Inscribed upon the Cross when Jesus was Crucified were the Latin words "Iesus Nazarenus Rex Iudeorum". Pontius Pilate's mother-tongue. No one will question the fact that Pontius Pilate was well able to accurately express his own ideas in his own mother-tongue. The authorities competent to pass upon the correct translation into English of the Latin "Iesus Nazarenus Rex Iudeorum" agree that it is "Jesus of Nazarene Ruler of the Judeans." There is no disagreement upon that by them. Except for His few followers at that time in Judea all other Judeans abhorred Jesus and detested His teachings and the things for which He stood. That deplorable fact cannot be erased from history by time. Pontius Pilate was himself the "ruler" of the Judeans at the time he ordered inscribed upon the Cross in Latin words "Iesus Nazarenus Rex Iudeorum", In English "Jesus the Nazarene Ruler of the Judeans". But Pontius Pilate never referred to himself as "ruler" of the Judeans. The ironic and sarcastic reference of Pontius Pilate to Jesus as "Ruler of the Judeans" can hardly be accepted as recognition by Pontius Pilate of Jesus as "Ruler of the Judeans". That is inconceivable by any interpretation. At the time of the Crucifixion of Jesus Pontius Pilate was the administrator in Judea for the Roman Empire. At that time in history the area of the Roman Empire included a part of the Middle East. As far as he was concerned officially or personally the inhabitants of Judea were "Judeans" to Pontius Pilate and not so-called "Jews" as they have been styled since the 18th century. In the time of Pontius Pilate and not so-called "Jews" as they have been styled since the 18th century. In the time of Pontius Pilate in history there was no religious, racial or national group in Judea known as "Jews" nor had there been any group so identified anywhere else in the world prior to that time. Pontius Pilate expressed little interest as the administrator of the Roman Empire officially or personally in the wide variety of forms of religious worship then practiced in Judea. These forms of religious worship extended from phallic worship and other forms of idolatry to the emerging spiritual philosophy of an eternal, omnipotent and invisible Divine deity, the emerging Yahve (Jehovah) concept which predated Abraham of Bible fame by approximately 2000 years. As the administrator for the Roman Empire in Judea it was the official policy of Pontius Pilate never to interfere in the spiritual affairs of the local population. Pontius Pilate's primary responsibility was the collection of taxes to be forwarded home to Rome, not the forms of religious worship practiced by the Judeans from whom those taxes were collected. As you well know, my dear Dr. Goldstein, the Latin word "rex" means "ruler, leader" in English. During the lifetime of Jesus in Judea the Latin word "rex" meant only that to Judeans familiar with the Latin language. The Latin word "rex" is the Latin verb "rego, regere, rexi, rectus" in English means as you also well know "to rule, to lead". Latin was of course the official language in all the provinces administered by a local administrator of the Roman Empire. This fact accounts for the inscription on the Cross in Latin. Editor's Note: Benjamin Freedman wrote the following in 1954 for Dr. David Goldstein, LL.D. of Boston, Massachusetts, to explain the history of Khazarian Jews. It has been printed as a booklet with the title Facts are Facts. Just who or what Jesus was becomes moot when you meet with Him. As I have had the distinction of having seen Jesus a number of times in various manifestations, I know exactly what he looks like. The closest physically i have ever seen was an Israeli Doctor who was volunteering to work amongst the Palestinians. He looked remarkably like the Jesus I have seen on four separate occasions since 1999. Speculation as to what He looked like is nonsense - just ask Him to reveal Himself to you as He really is and discard all your preconceptions and misconceptions. If nothing happens and you ask in faith, then that is a fair indication that you are harboring a false image and until it be repented of, the True image has no currency with you, and no place in you. Consider all things to be loss so that you might gain Christ.